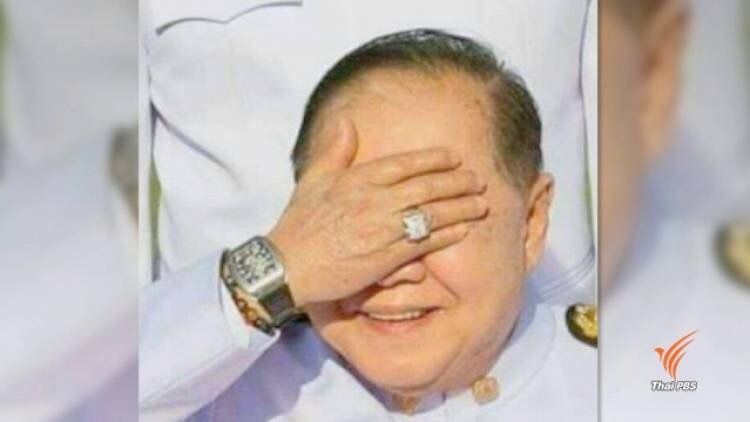 The National Anti-Corruption Commission (NACC) won’t set specific timeframe for authorities to investigate the deputy prime minister, Gen Prawit Wongsuwan, over his possession of several luxury wristwatches that were not declared as required by the anti corruption law. This was disclosed on Monday by NACC President Pol Gen Watcharapol Prasarnratchakij after he was asked by reporters on the progress of the probe. He said there was no specific time frame for the probe as the case is the centre of public attention that needed careful consideration. But he assured that the probe would be conducted under the law procedure, and cautious step had to be taken particular on new releases of photographs exposing more wristwatches he wore. He said authorities needed to double check the time when he wore the watches and therefore no timeframe could beset for the probe. Asked whether the NACC would order the impounding of his wristwatches for examination, the graft buster chief said the authorities could use the option under the law. But in case it needed full authority from the commision, then a meeting of the full board would be called, he said. He said the deputy prime minister has already submitted his second clarification of his wristwatches and diamond ring. In the first clarification he implicated four private persons.The NACC is in the process of calling them to clarify the wristwatches this month. Meanwhile the CSI LA posted on its Facebook page today claiming it was Gen Prawit’s 23rd wristwatch, a Patek Philippe Complications 5396/1G-001 priced at 2.3 million baht. The CSI LA said Gen Prawit wore the wristwatch on November 5, 2014 when he presided over a religious ceremony at Wat Anongaram temple in Klong San district, Bangkok.